AIGA and Google’s first annual Design Census 2016 is complete. Our team at Willoughby took the results and compared female to male respondents who reported earning $15,000 or more annually at four levels along their career paths: Junior, Mid-Level, Senior and Leadership. 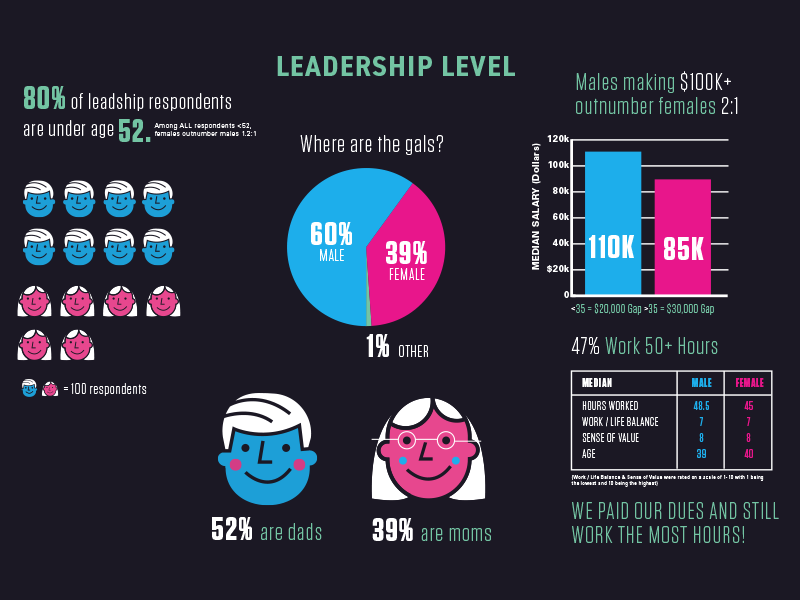 Although this first design census is just one snapshot of AIGA design professionals, capturing feedback from approximately 9,000 respondents, we were able to generate some trends that we would like to follow over the next few decades to better understand how women and men progress throughout their careers. How they differ, how they are similar and how times are changing.